US President Donald Trump on Thursday took to Twitter and said that he will be allowing the long blocked and classified JFK files to be reopened. There has been a long-standing debate on the reopening of the files, which have been put in the classified section by the US government. However, according to a Washington Post report, Trump was urged "to withhold the last batch of government documents" that could shed more light on the 1963 assassination of President John F. Kennedy. The report also addressed how Roger Stone, a close Trump aide, reported on his website that that CIA Director Mike Pompeo wants the president to delay the record release for another 25 years. However, that doesn't seem to be the case as Trump's latest tweet suggests. President Kennedy was killed in Dallas in 1963 by Lee Harvey Oswald. Oswald, however, was killed a day later while on his way for interrogation, so there is no concrete evidence on who actually killed Kennedy. 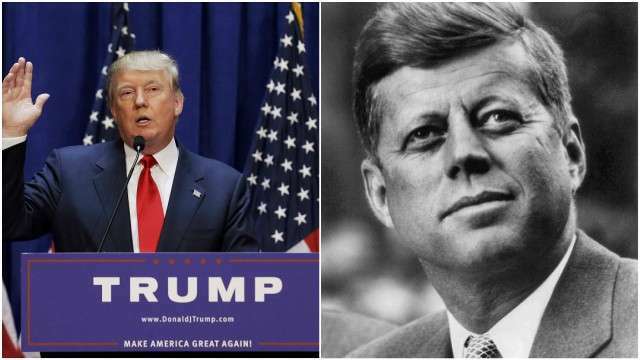 US President Donald Trump on Thursday took to Twitter and said that he will be allowing the long blocked and classified JFK files to be reopened. There has been a long-standing debate on the reopening of the files, which have been put in the classified section by the US government.